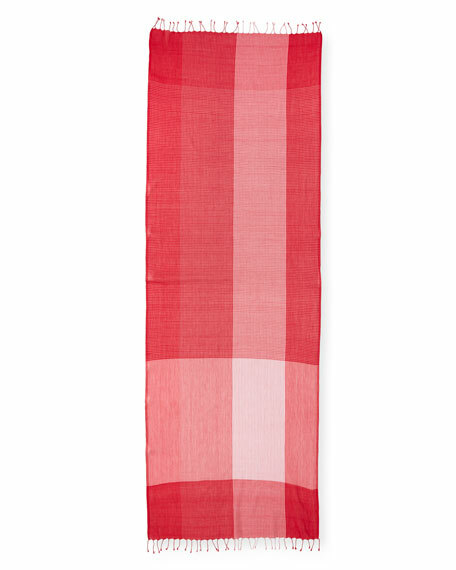 Eileen Fisher lightweight, hand-loomed scarf in plaid. 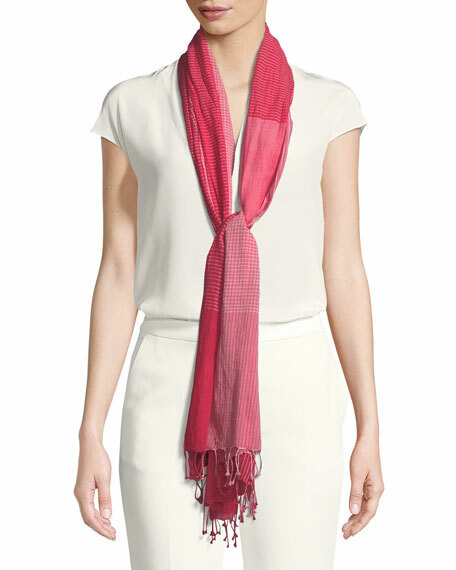 Ample size to wrap, drape or tie. For in-store inquiries, use sku #2439489.